A spectacular garden featuring rose planting mixed with herbaceous planting to create rich seasonal flower beds and strong scents. 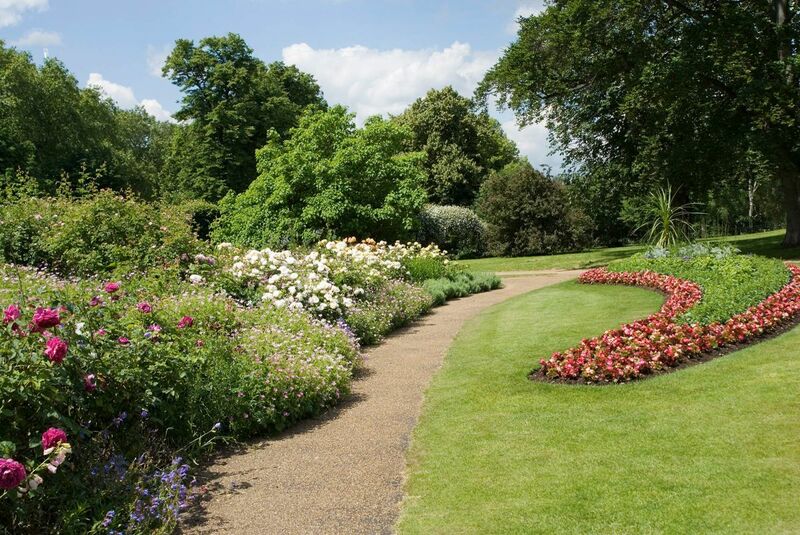 The Rose Garden is located in the south east corner of Hyde Park, south of Serpentine Road near Hyde Park Corner. The Garden opened in 1994 and was designed by Colvin and Moggridge Landscape Architects. 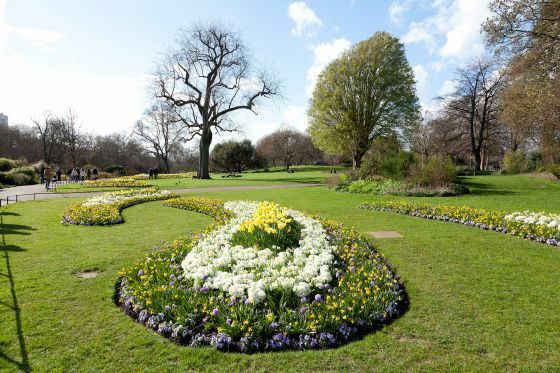 The design was developed from the concept of horns sounding one's arrival into Hyde Park from Hyde Park Corner. 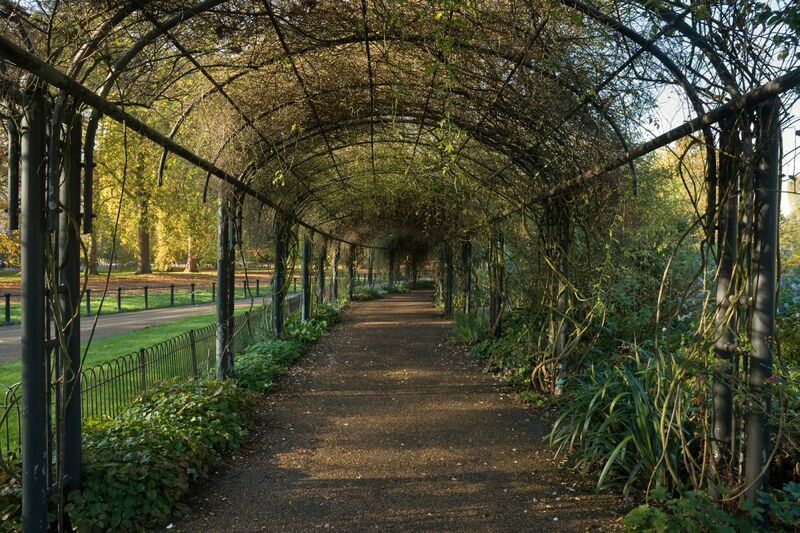 The central circular area enclosed by the yew hedge is imagined to be the mouth of a trumpet or horn and the seasonal flower beds are the flaring notes coming out of the horn. The rose planting is mixed with herbaceous planting, creating rich seasonal flower beds and strong scents. 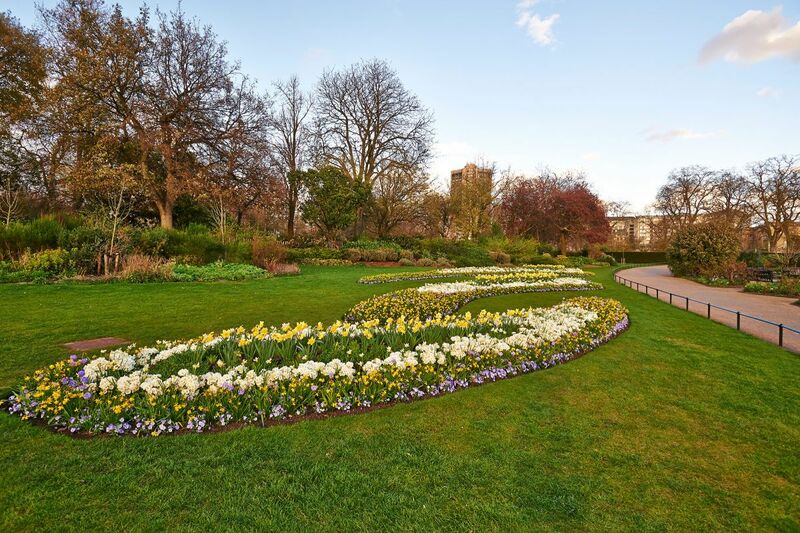 The spectacular seasonal bedding is a hugely popular feature; the gardens attract high numbers of tourists particularly in the summer months and are still popular throughout the year with local residents and office workers as a quiet contemplative place. 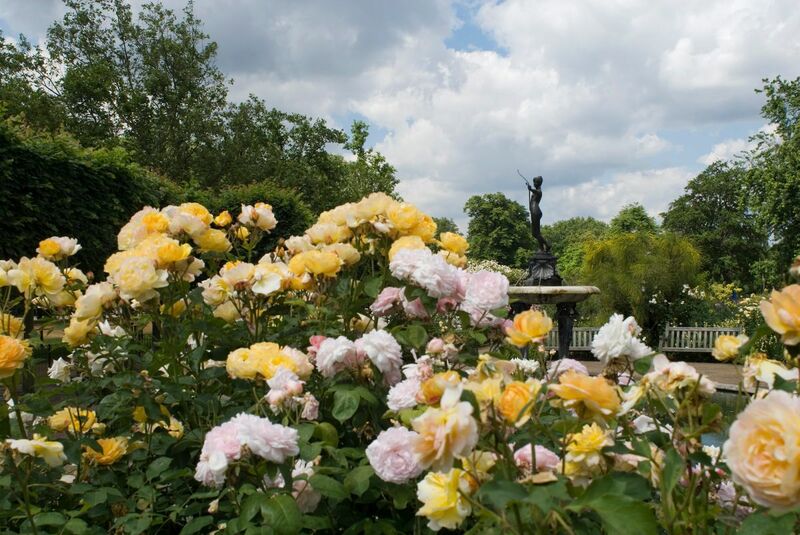 The best time to see the roses is early summer, although they continue to flower through to the first frosts. The flower beds are planted twice a year with spring and summer displays, but regardless of the time of year you visit, there will always be something to see. The Boy and Dolphin Fountain by Alexander Munro dates from 1862. The fountain statue of Diana the Huntress was sculpted by Lady Feodora Gleichen in 1899. Gleichen was the first female member of the Royal British society of sculptors. 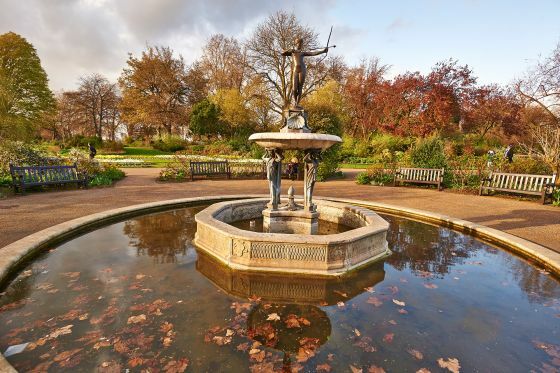 It was donated by the owner who commissioned it to Hyde Park in 1906. The metal pergola was erected as part of the 1994 works. 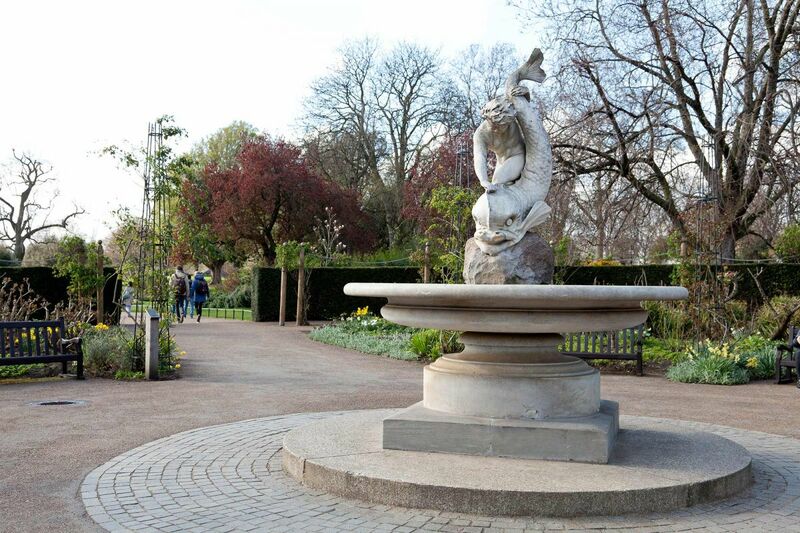 The circular hub to the garden is enclosed by a rose arbour with pillars and chains.